Judging by the weird time everyone else was having with the supposed tonal balance of the series, I was expecting to be (pleasantly?) 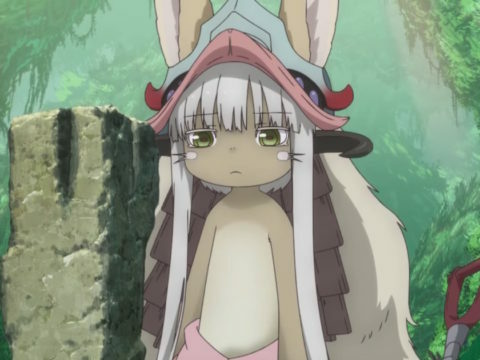 shocked or disgusted by Made in Abyss. The fervor around it seemed to die down once its season kicked into full gear, but abundant curiosity remained. 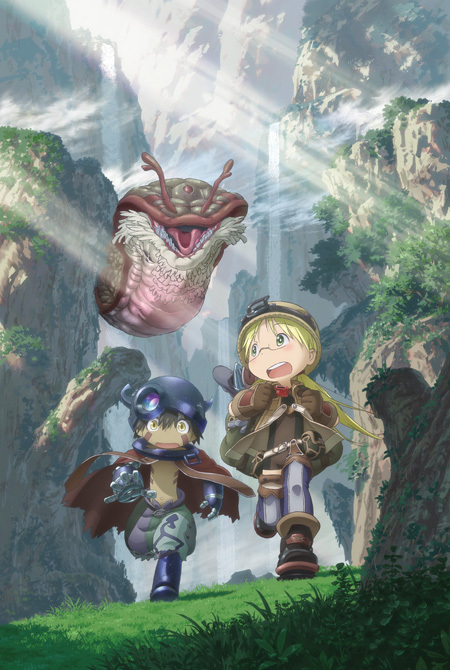 Is Made in Abyss really a nasty, child-torturing show hidden beneath an otherwise adorable aesthetic? Did the staff at Kinema Citrus (Yuyushiki, Scorching Ping Pong Girls) faithfully preserve all of original manga author Akihito Tsukushi’s strange proclivities? I simply had to find out for myself. It turns out the answer is much more nuanced than one might expect. 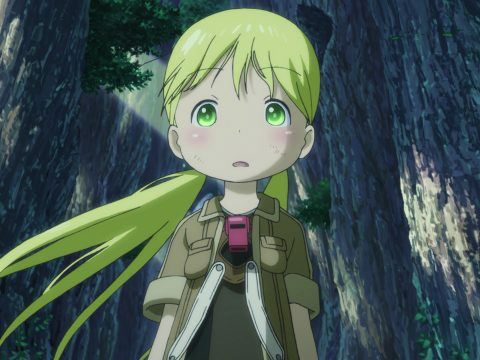 While we’re immediately introduced to orphan girl protagonist Riko—followed shortly after by her co-star, the pint-sized robot Reg—the setting of Made in Abyss makes the most powerful first impression. In this world, there remains one area that humans have yet to fully explore. The Abyss is exactly what it sounds like: It’s a giant hole smack dab in the middle of the earth, and it goes deep. The people who explore it have created a partial map, but countless mysteries still remain, and it’s even more difficult to return than it is to make the initial descent. In fact, it’s so tough to return that Cave Raiders—who plumb the depths of the Abyss in search of relics—have to be split up across different ranks. Red Whistles can only go so far, while Blue, Black, and White Whistles are free to explore as far as their respective levels allow. This is due to the Curse of the Abyss, which gets progressively stronger the deeper you go. Go down a little and you might just become mildly nauseated on the way back up. Returning from the lower levels causes such a strain, however, that death is one of the potential side effects. So, naturally, Riko and her new friend Reg—a pair of Red Whistles, one of which is a robot of unknown origin Riko just recently found in the Abyss—decide to go down on their own. Somewhere below, in the darkest of depths, Riko’s mom awaits. Despite the fact that she’s a White Whistle who’s rumored to be dead, a note and a daughter’s intuition is all it takes to send Riko on an insanely perilous journey. 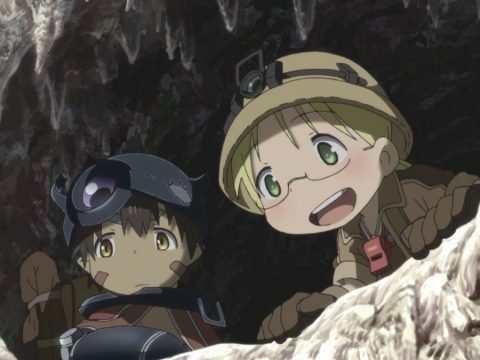 The adventure of Riko and Reg doesn’t become truly serious until Episode 5, when they get an up close and personal look at some of the dangers unique to the second level of the Abyss. 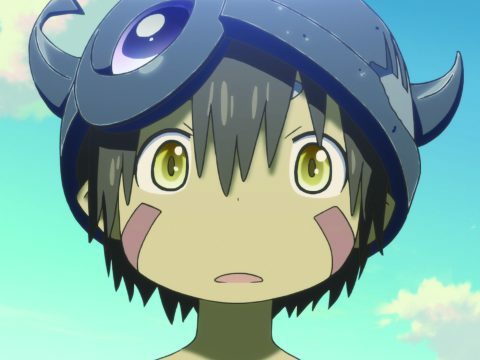 From giant, man-eating creatures to the mental anguish the Curse of the Abyss can unleash, Riko has to depend on Reg to survive almost the entire way down. 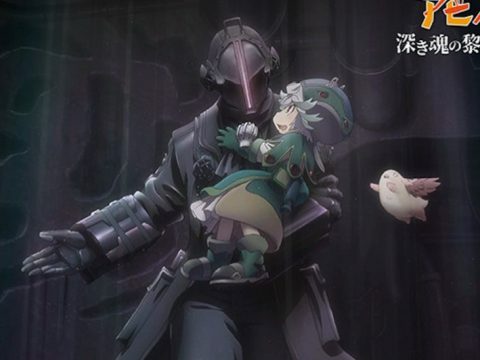 Even his spring-loaded grappling arms can’t protect her from everything, though, and we finally get to see Riko gain a little more agency as the series progresses. 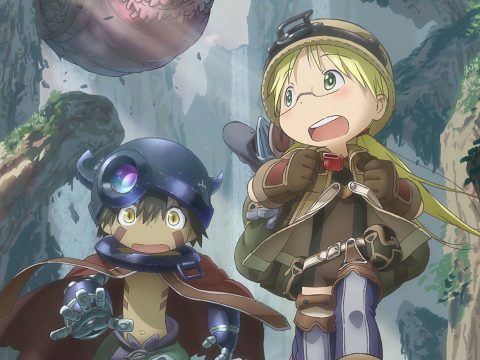 Made in Abyss isn’t about gore or wince-inducing violence. The real horrors of the show come from a less tangible sense of dread. Director Masayuki Kojima previously helmed thrillers like Monster and Master Keaton, both of which are based on the work of master mangaka Naoki Urasawa, so he knows how to create a thick air of tension. Combine this with the unique setting and exploration that would be right at home in a side-scrolling platformer, and you have the makings of a show that easily gets its hooks into you. Even the initially off-putting character designs—which Kazuchika Kise (xxxHOLiC, Otogi Zoshi) adapted from Tsukushi’s manga, a series that’s been running in Web Comic Gamma since 2012—quickly become endearing, thanks in no small part to some dynamite production values. It’s also worth mentioning that the music by London-based composer Kevin Penkin (Under the Dog, Norn9) is excellent, and brings a few modern RPG soundtracks to mind. Huh, I guess I ended up really liking this one! Recommended.